This is a discussion for the topic the GP swb is available and need it gone on the board Beach Buggies For Sale. 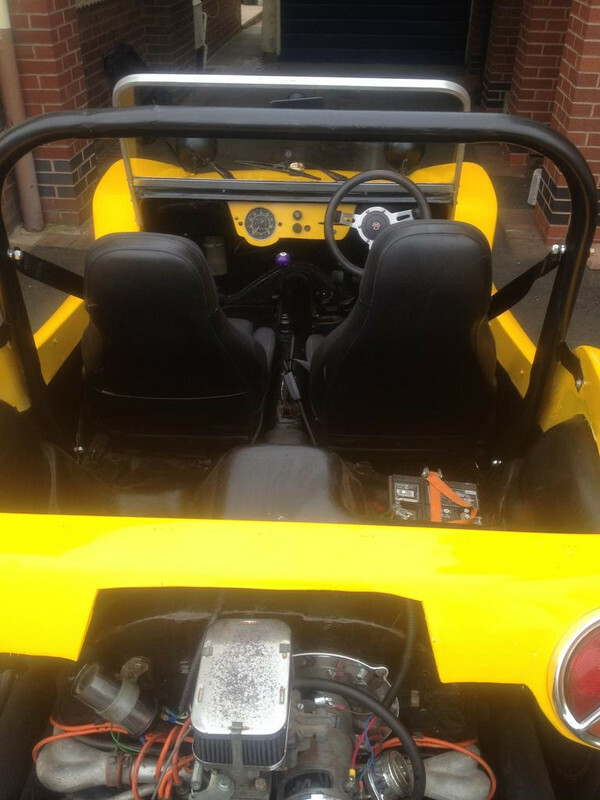 correctly registered as a GP beach buggy in 1974 using a 1957 floor pan, now with a 72 transmission and brakes, front axle has 65-66 wider brakes fitted. all new brake hydraulics fitted and shoes n clips etc are as new, new correctly shortened brake cables fitted. brand new Nankang 205/60 X 14 front tyres and 225/60 X 15 rears also has a set of banded rims 7 X 15 with tyres with it. 1300 twin port motor with progressive twin choke weber and silenced dual cannons. 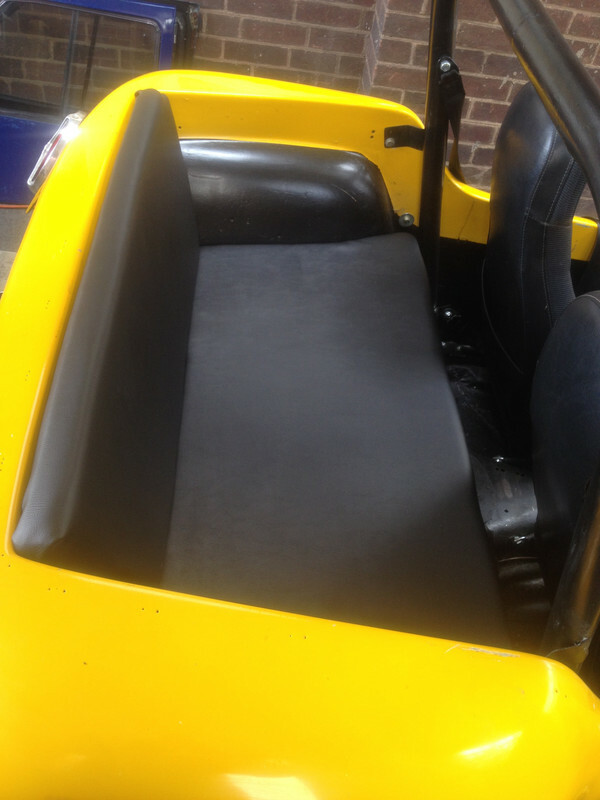 Mazda mx5 seats and new seat belts, rear bench seat. All new wiring looms and blade fuse boxes, the new fuel sender fitted is erratic at best so it has a calibrated dipstick. drives well with a bit of noise transmission due to a solid front gearbox mounting. a solid buggy that could be improved and personalised or used as it is. starts and runs well I have done a couple of hundred miles in it. MOT tested in june but now mot exempt if you want. indicator self cancel is inop with the steering wheel boss but is has a audible warning fitted along side the light so you know they are on. DVLA say they have processed the change from PLG to historic today so the log book is on it's way. Totally agree Oojamflip. If I was starting again I’d love to be sure I was buying a buggy you know is ‘correct’, honest, solid and a classic. Keith... cannot believe you are selling it. £4K a steal.. Look at what the "dreamers" ask on ebay..
Paul, buy it, rebody it, sell the GP shell, job done! Photos printed on genuine ILFORD® paper. "If an engine needs a turbo, a blower or nitrous then it wasn't built right in the first place" anon. 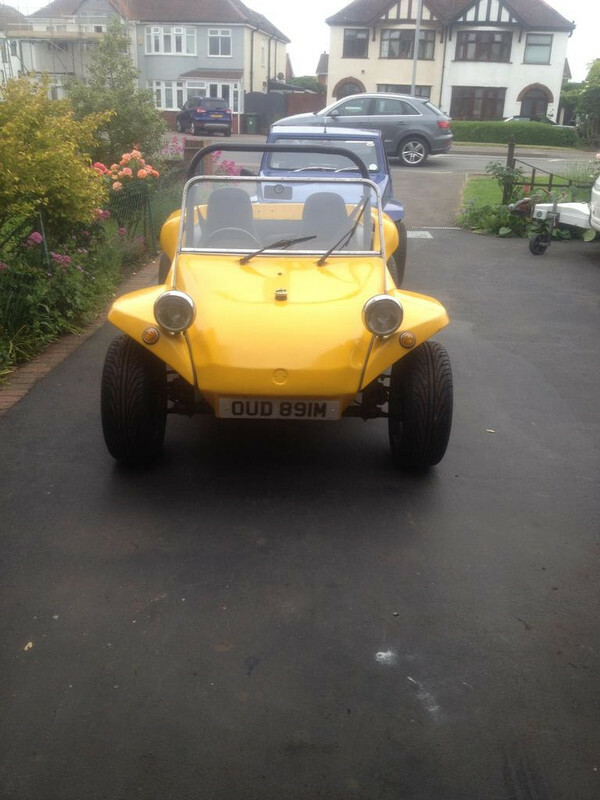 A rebody was tempting to make it a shiny buggy but it would then be a 6K sale not the cheap way into buggying. Would you recommend this buggy for a newbie? Also was thinking I would need a buggy with wet weather gear, how much would that be to add afterwards? Pretty well any buggy you get will require tweaks and repairs at not infrequent intervals. So if you're not mechanically minded try and live near some of the many other fantastically able buggy owners and find a small 'traditional' local garage that you can use to fix issues. Snoopys GP is the genuine article and has been put together by someone with exemplary sound buggy skills and understanding. It's got inherent personality and correct paperwork. You're going to want to make your own changes to any buggy you get so this GP is a great starting point. Others will know better on wet weather gear costs and options but I'd guess you'd not get much change out of £1k for a customised hand crafted top that worked properly ? Snoopy you're a class act when it comes to mechanics but you're not expected to understand the words used to describe you. Stick to the screwing old bits together etc and leave the marketing and branding to Dave and I !